Massachusetts Attorney General Maura Healey. 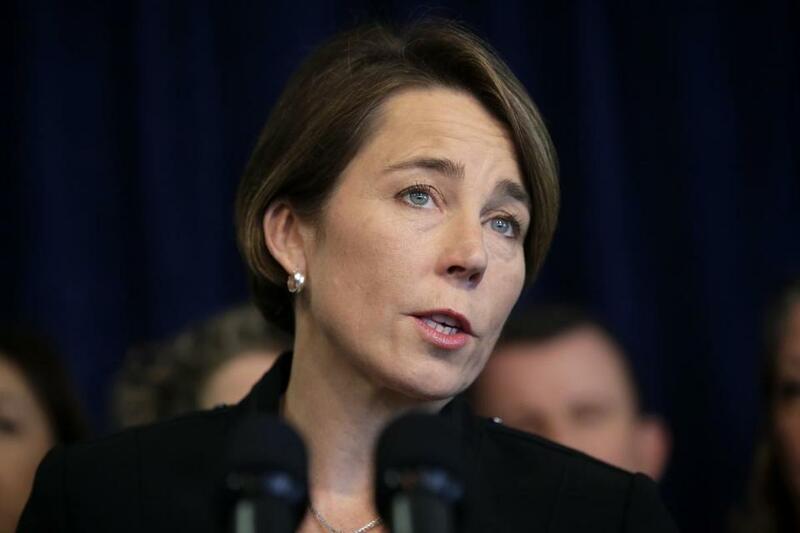 Attorney General Maura Healey has joined 15 other attorneys general in a bid to preserve a crucial component of the Affordable Care Act — the subsidies that help people cover their copays and deductibles. In a suit filed Thursday, the attorneys general are asking for a role in ongoing litigation over those subsidies, known as cost-sharing reductions. These subsidies are an aspect of the federal health care law that could be eliminated even if Congress fails to repeal the law. The cost-sharing reductions, paid directly to health insurers, are expected to total $9 billion nationally and $104 million in Massachusetts in 2017. Eliminating them would likely lead to steep increases in premiums. Health insurers have been rattled by the uncertainty over whether they will continue to get that money. Deadlines are approaching for decisions on whether to participate in health insurance marketplaces in 2018 and how much to charge in premiums. In some states, it is feared that few or no insurers will participate, making it difficult or impossible for low-income people who buy their own health coverage to find affordable options. Last year, a federal District Court judge ruled in favor of the Republican-dominated House of Representatives, which filed a lawsuit arguing the payments are illegal because Congress never approved the expenditure. But the judge said his ruling would not go into effect until an appeal by then-President Obama’s administration ran its course. Since President Trump took office, it has been unclear whether his administration will pursue the appeal, or drop it and end the payments. But if the court allows the attorneys general to intervene, they would carry the appeal forward even if the administration does not. In addition to Massachusetts, these 14 states and Washington, D.C., joined the suit in the US Court of Appeals for the District of Columbia: California, Connecticut, Delaware, Hawaii, Illinois, Iowa, Kentucky, Maryland, Minnesota, New Mexico, New York, Pennsylvania, Vermont, and Washington. In Massachusetts, more than 150,000 people who enroll in the Massachusetts Health Connector, the state’s health insurance exchange, have incomes low enough to qualify for the cost-sharing reductions. If the payments stop, it is expected that health insurers will raise rates to make up the difference. But if the Affordable Care Act remains in force, lower-income people will apply federal tax credits to keep their costs down — and with higher premiums, the tax credits will also have to increase substantially. Last month, the Kaiser Family Foundation released a study showing that eliminating the cost-saving reductions would actually wind up costing the federal government more than it saves. Health insurers have been calling on state leaders to plan for the possibility that cost-sharing reductions could evaporate. Senator Harriette L. Chandler, a Worcester Democrat, recently filed an amendment to the Senate Ways and Means budget instructing the Division of Insurance and the Connector to establish “a contingency plan to provide a pathway to minimize market disruption” if the cost-sharing reductions are eliminated. Felice J. Freyer can be reached at felice.freyer@globe.com.